Wild Woman Sisterhood is looking for You! This is the moment for us to Go for it! Wild Woman Sisterhood is a beautiful project that inspires and Connect Women World Wide. WWS has a Higher Purpose. We started this project on January 15th 2013 and it is a succes since day 1! This world was asking for us. Our Higher Purpose is to make women (and men), who lost their inner connection, Aware of their wild nature again. To connect with our most Pure Divine Being.. to connect with each other, to share and communicate this to our environment and so we will pass this on to our future generations. Wild Woman Sisterhood has a Vision. This is not just any Vision, but one that is Awakening, inspiring, Loving, powerful and Wild! We believe that Wild Woman Sisterhood therefore stands out among the millions of women organisations. Many women want to connect but are tired of the boring everyday soap operas, classic finicky little women talk that ultimately primarily goes about others, external beauty, to get high paid jobs, fasion, our prosperity in inanimate stuff etc. These are all subjects that may seem pleasant to fill our days with, and yet these subjects do not lead us to a truly fulfilling life. Fill gaps with empty content leads to more emptiness. That's why WWS makes an effort to inspire the world with ways of living that caters to the well-being of our entire existence. Lots of women who find us, -feel relieved! To finaly find something online that is truly empowering. We are connecting and inspiring in a fulfilling way and give change to share and being able to let everything go that is ultimately meaningless. We want to investigate deeper layers of ourselves, really make contact with each other and nature and share stories that are empowering and worthwhile to share. We want to Listen and learn from our Elders and share Ancient Wisdom, learn about Rituals, Rites de Passage, the Stories of the Earth, de deeper meaning of dance, music and our creative sites, how to grow our own food and Experience Oneness with Nature and all living Beings. When it comes to luxury we want to make responsible adult choices. We don't want to buy an ordinary fabric made jacket, bag or piece of jewellery but we want to make it ourself from things that we find that mean something to us, or -if we buy one- we prefer to choose for a handmade organic article that radiates from good energy and in addition, is fair traded and carries a vibrant Spirit. We want authenticity in a way that meets a sustainable way of living and everything that passes in the process. That is what we want to pass to our children, to live in wholeness and to Be whole! And by living in wholeness, we will make choices in Wholeness. How can we ecpect our children to participate in Unity as we are showing them a blank inanimate world that is Spiritless? 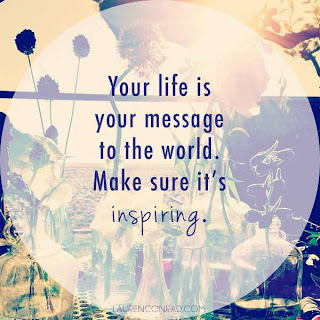 So lets inspire each other! Once this consciousness is stirred up, there is no going back. The Awareness of our Planet is rising, NOW is the Time! Join us and lets Rock this beautiful project of the Heart! 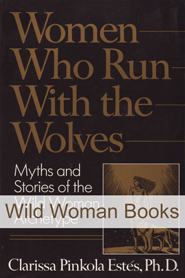 Wild Woman Sisterhood: a project with a name that suggests anything.. and in the meantime -while connecting with the Sisterhood- our consciousness is Being fueled on the welfare of the Earth and all living Beings. Subtly we penetrate gently into the consciousness of our hundreds of thousands of followers (women and men). We do this within integrity and Love and in order to serve our existence and to heal this Earth and our society..
We see and believe that it is the time to build bridges between Technology and Community based organisations. It is a honor that Wild Woman Sisterhood can serve as a door to make this possible. A team of the right mindful, Heart minded and professional organized people is being formed as we speak. So that we can Develop Wild Woman Sisterhood into the exact right tool to touch and reach Hearts on Global scale and raise Awareness. You can be part of it! Yes! We are taking Wild Woman Sisterhood to the next level, and we need you to help us promote our project! The more success we have WorldWide, the more influence we have, the more we can do, the more we can create and the more we raise Awareness; which is necessary in order to heal! Our Earth is depending on our Awareness and people are screaming for a meaningful existence. Most important: to find a creative way that works for you, maybe something brilliant that we haven't even thought about ourselves. As long as you are passionate about it: It Works! 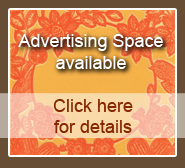 we will put your name and link on our website! We want to thank All in advance for any effort ! it does make a difference..
My skin is covered with goosebumps. I am very excited to explore WWS as an integral part of the next steps of my journey of growth and personal discovery and expression. 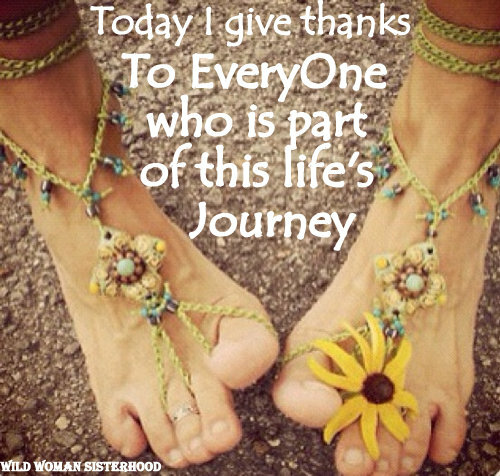 I am grateful to have found you, and look forward to finding ways to help each other! Thank you! I too am excited to be part of a sisterhood! Thinking with meaning. I not only want to enjoy the blessings but give thanks and share with others a journey of fulfilment and enlightenment. Full of gratitude! As a man, I consider the child bearing process to be more sacred than all the temples men have built to their gods, more sacred than all of their holy scriptures for which far too many are prepared to kill or die for.